The end of the year activities are in full swing for our family. From field trips to baseball games our schedule is packed tight leaving little room for prepping nutritious snacks. This season, I’m counting on DairyPure Mix-ins to keep our appetites satisfied and our energy high. 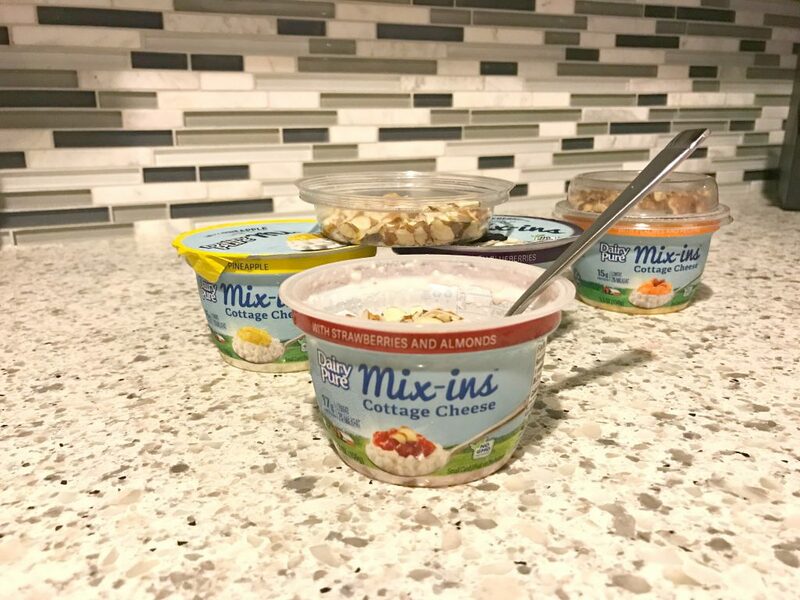 DairyPure Mix-ins Cottage Cheese combines your favorite flavors of real fruit and real nuts with creamy cottage cheese. Enjoy real peaches and wholesome pecans with 15 grams of protein, to ensure you’re fueled up when heading to the double header. 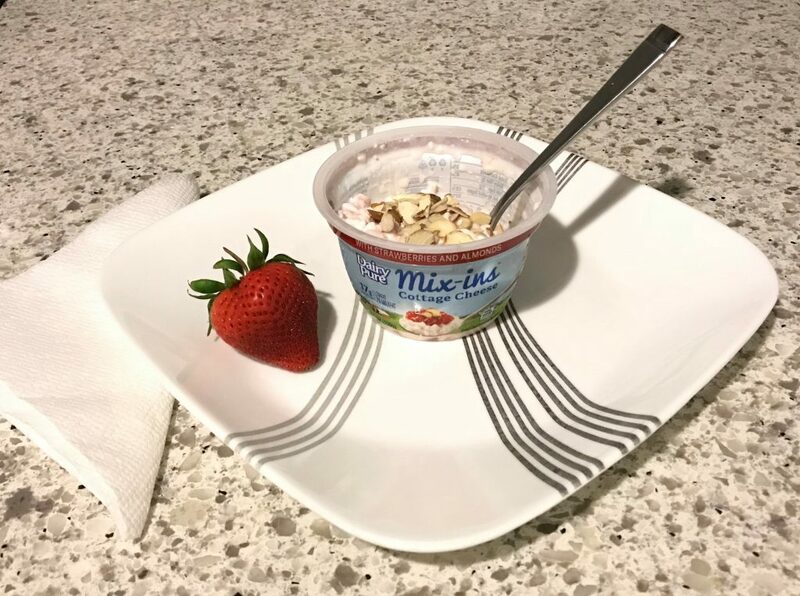 Or check out one of my favorites, the Strawberries and almonds, that contains the perfect amount of creamy and crunchy goodness. 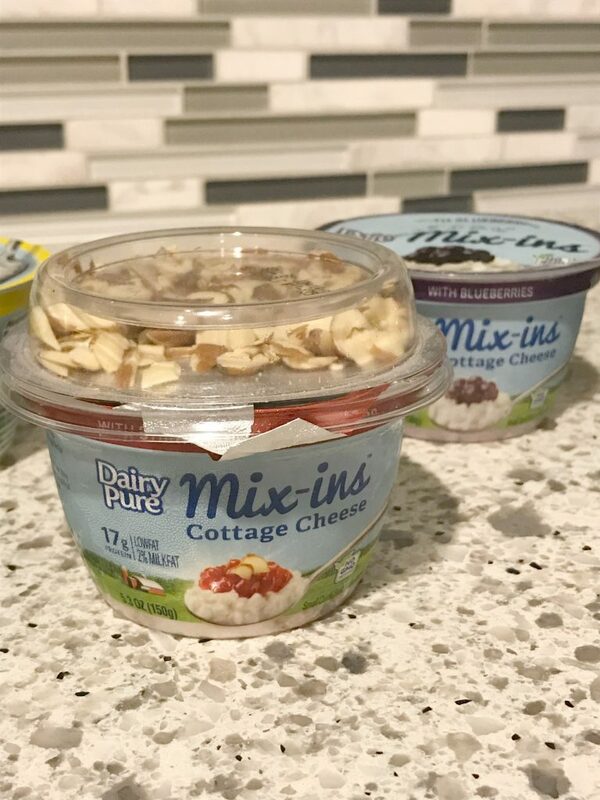 Combining protein with convenience, DairyPure Mix-ins Cottage Cheese, uses easy-to-mix flavors that makes eating on-the-go perfect for any time of day. Best of all, DairyPure’s premium products, Mix-ins have no artificial flavors, sweeteners, or growth hormones! Head to your nearest Stop & Shop to pick up your favorite DairyPure Mix-ins flavor today! For recipes, local retailers, the full line of products, and to learn more about DairyPure, visit their website and follow DairyPure on Facebook and Pinterest! 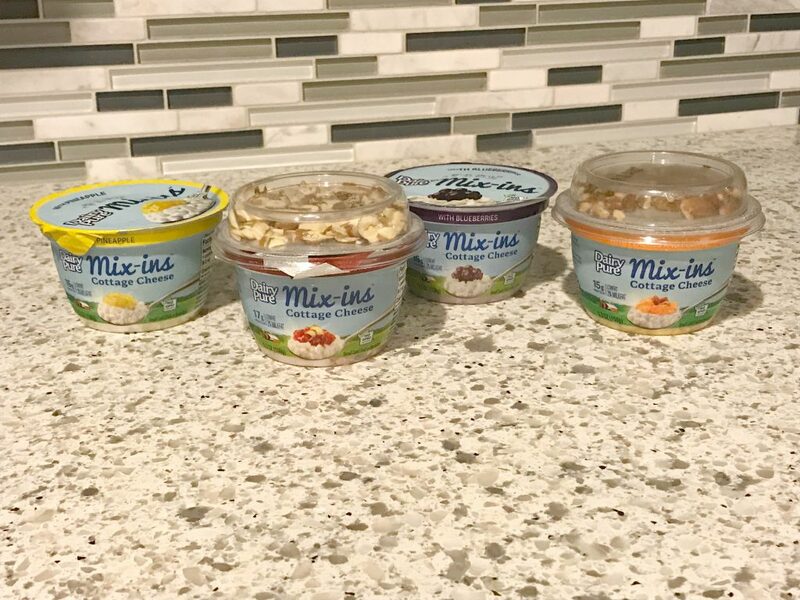 DairyPure Mix-ins are available in four flavor of 5.3 oz cups: Blueberry, Peaches & Pecans, Pineapple, Strawberries & Almonds. Grab a pack of your favorite flavor and taste a new classic! I will definitely try blueberry. I want to try them all but I am more excited about the pineapple flavor and the strawberry flavor! I would try them all but first pineapple. I want to give pineapple a try.